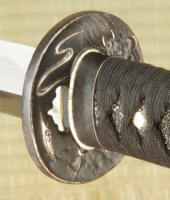 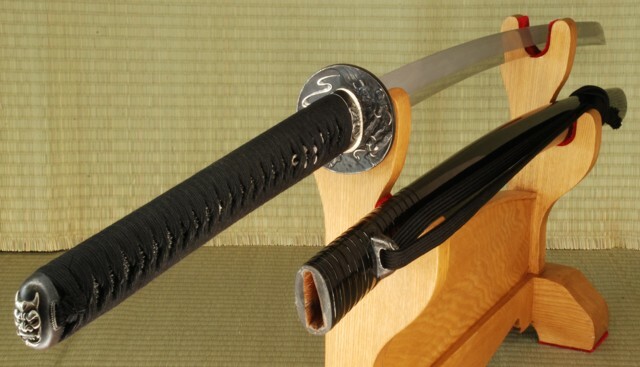 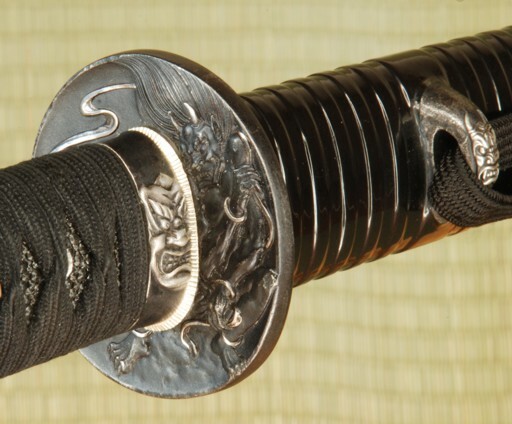 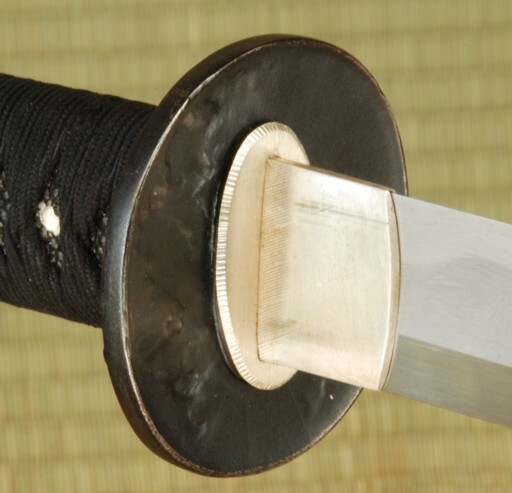 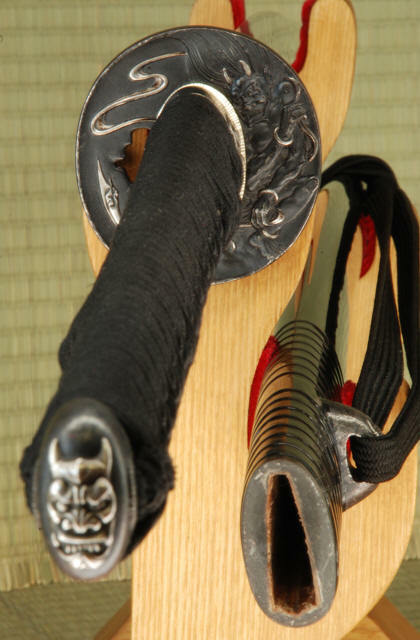 The Oni is a folded L6 / Bainite katana with 29" performance geometry blade and a 14" tsuka. 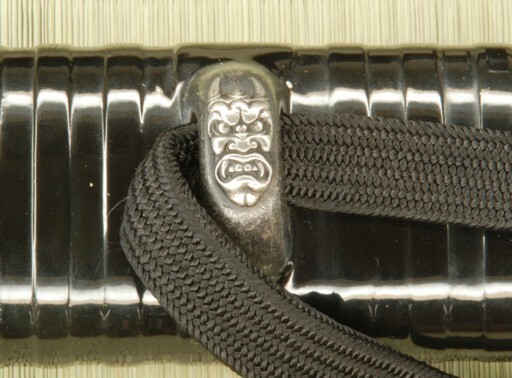 Black iron fittings have a oni (demon) theme. 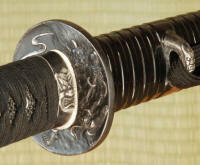 Black lacquered saya and black same / silk ito. 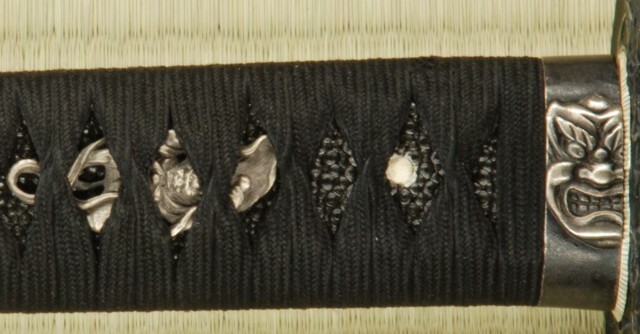 The menuki follow the Oni (japanese demon) motif.